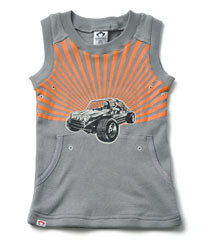 This Appaman Beachbuggy tank is one of our best sellers. So cool with the sunburst background and buggy on the foreground. 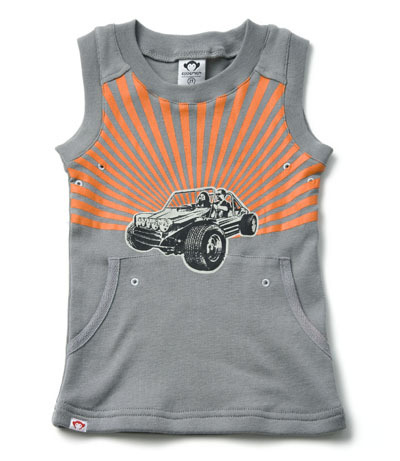 The tank itself is super comfortable and he would love the front pockets!